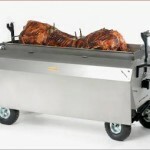 There you have it, you no doubt have had a good look through the website and are really interested in everything that you have seen…and hopefully you want to know even more about the exciting Hog Roast Machines range, but it may be helpful if we recap on what makes our machines so very special and why we are the best choice for you. 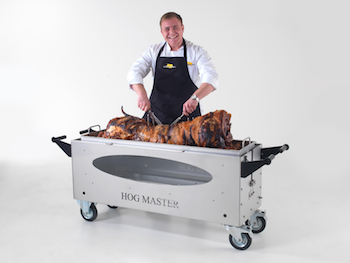 The Hogmaster machine was the result of much hard work involving experienced hog roast caterers. 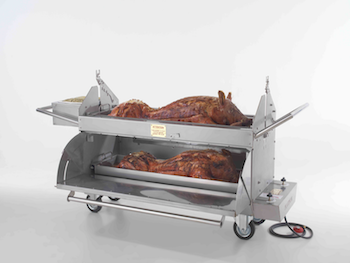 Our idea was to bring together the catering oven and the hog roast machine and create a hybrid piece of equipment that would offer stunning and supreme versatility to the hog roast caterer. 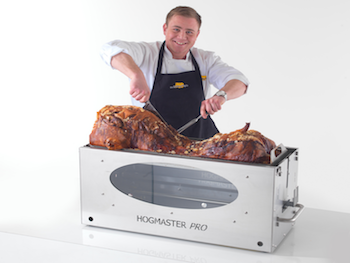 The Hogmaster certainly met our expectations and then some. 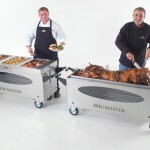 We know because we put it to good use in our very own catering ventures and it performed with flying colours, so we knew that what we had in the Hogmaster was something quite special, therefore we thought ‘why keep this to ourselves when we can let many other people take advantage of all it’s fantastic features. And they really are fantastic. Well, we would say all this wouldn’t we? 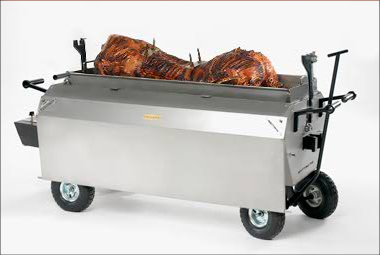 You may think that but as we are passionate hog roast caterers ourselves, we would have nothing to gain by producing an inferior machine, so we then made the Titan, the very best machine there is on the market today. 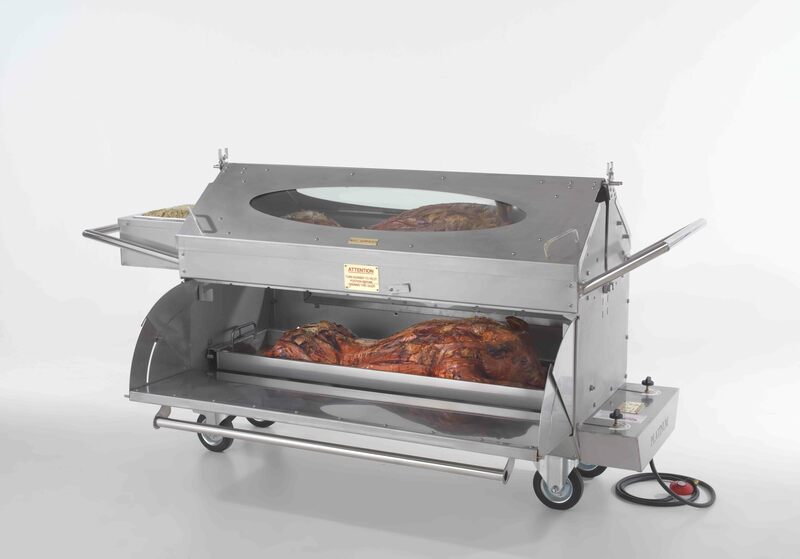 It really is the most versatile, flexible and most solidly professional hog roasting solution that you could buy. This is the top of the tree when it comes to hog roasting equipment, make no mistake. 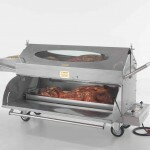 You may have seen some really flashy looking machines elsewhere with really fancy websites but hog roast is not about hype, it’s about delivering great results and that is exactly what Titan hog roast machines do brilliantly. No nonsense, just brilliance. So where is all this hard work and development evident in the Platinum? Well, the first place you need to look is at the machine itself and that superb looking body. We certainly made sure that it is solid and strong yet beautiful with stainless steel and glass viewing panels on both cooking levels so it is great to look at on the outside and easy to see what’s going inside! 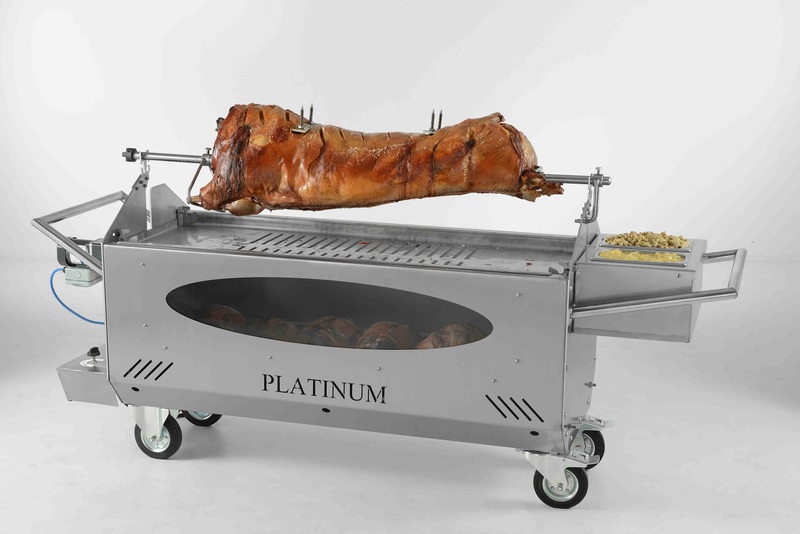 The thermostatically controlled cooking system used in the Platinum is unmatched and helps ensure even temperatures throughout the cooking process and in every part of the machine. This really is a superb systems and guarantees you great results every single time. And what about capacity? 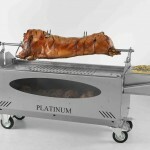 Well, the Platinum really comes up trumps when it comes to capacity as it offers the largest of any other hog roast machine on the market, and that means more space to cook more meat. And because the Platinum is a dual level machine, so you can cook food on the lower level before finishing it off in style on top. All this means the perfect machine if you ever need to cook a variety of food for large numbers of people. 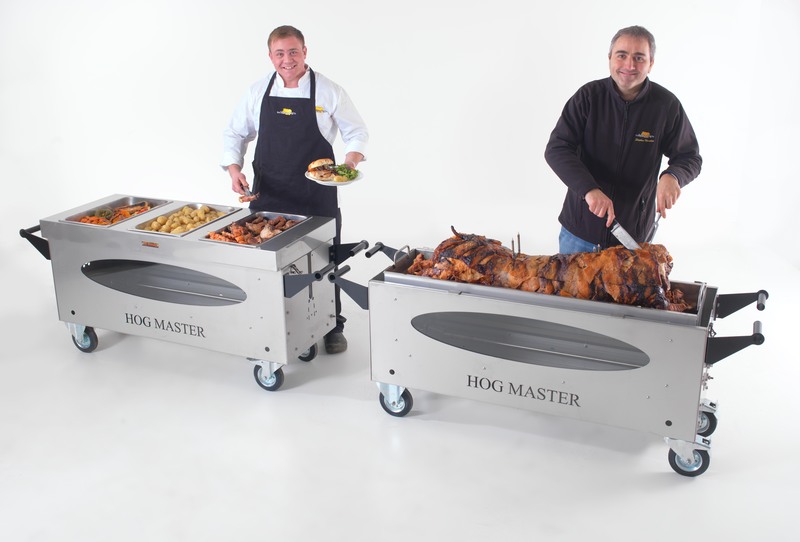 All this quality is music to the ears of anyone serious about delivering the very best in hog roast but for those that want some extra assurance, you get that too with a full 12 month warranty on each machine. Each machine is also CE and Gas Safe certificated so that ticks a few extra safety boxes and you even get our full training and business support service if you are new to hog roasting. Want to have a look at our machines in person before you buy? We would love to see you at our showroom. So, what is stopping you? Fill in the enquiry form and we look forward to seeing you soon.